The Geneva Motor Show 2019 is being a true showcase of new products and prototypes of "green" vehicles. Well let's talk about pure electric or hybrid, the truth is that a large part of the news known in this event look towards sustainable mobility. BMW is present at this event with a large deployment of plug-in hybrid vehicles ; among which stands out the new BMW X3 xDrive30e , the SUV for the segment D.
This generation of the BMW X3 is very important for the company based in Munich, it will be the first model to market with traditional mechanical, plug-in hybrid and electric. 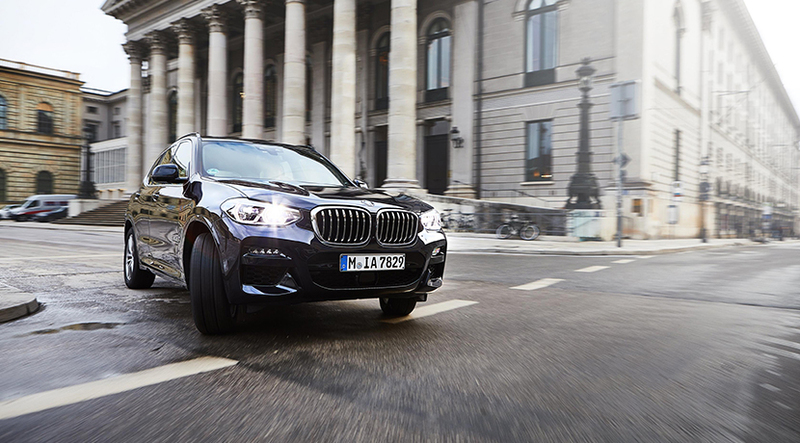 The BMW X3 xDrive30e, the plug-in hybrid version with more than 50 kilometers of electric range , has been presented in Geneva It will reach the market in December. Meanwhile, next year will come that expected 100% electric variant. Let's go with the hybrid. 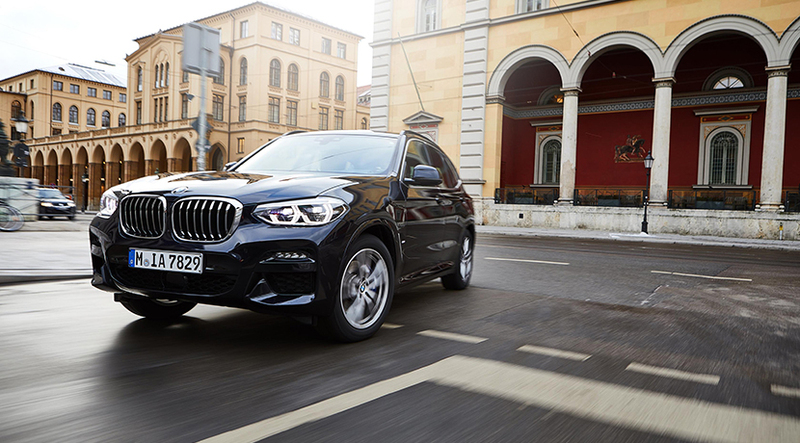 The BMW X3 xDrive30e uses a gasoline engine and 2 liters TwinPower Turbo and an electric engine> Both thrusters send their energy to the floor through the 8-speed Steptronic gearbox and BMW's well-known intelligent traction system, the xDrive. The maximum power of the set is 252 HP , but can reach 41 hp more for a few seconds in situations where maximum acceleration is required. Acceleration from 0 to 100 km/h can be done in just 6.5 seconds. In this case, the battery for the electric drive system is located under the rear seats, also subtracting something of load capacity. Compared with traditional mechanics 100 liters are lost, so the final volume of the trunk is 450 liters , which is not bad. This battery is lithium ion. 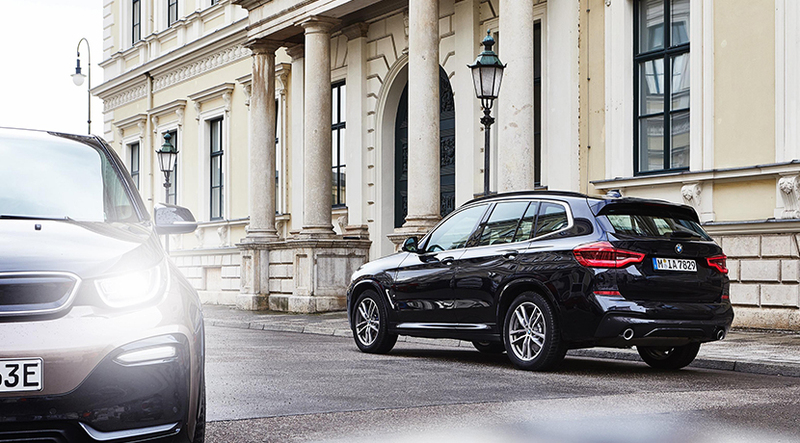 Meanwhile, at the stand of the German firm in Palexpo can also see the new BMW 330e saloon, the BMW X5 xDrive45e and the three versions of the Series 7 with propulsion Hybrid, which are the BMW 745e, the 750Le and the BMW 745Le xDrive.